They will make my house extra beautiful!!! 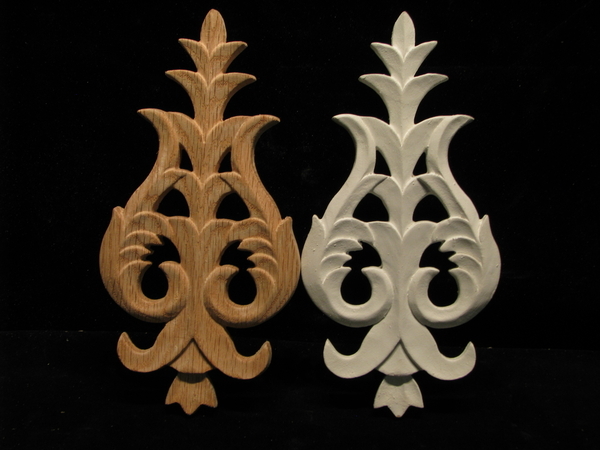 I received the two Acanthus Leaf Corbels and they are absolutely beautiful!!! The photograph on your website does not do them justice. 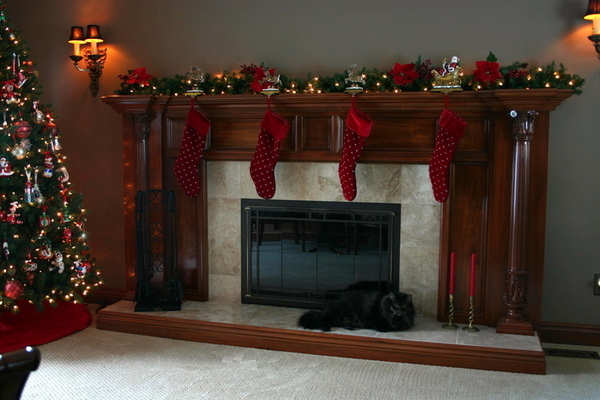 I am building a custom fireplace mantel and will not hesitate to order additional products from your company. You have excellent quality products; the shipping is fast; and the shipping packaging to the protect the products is outstanding. Thank you so much!!! Helen M , RIchmond B.C. I just wanted to send you a picture and thank you again for all of your help in making our home beautiful! I just wanted to tell you I received the shipment of the oak tracery brackets and carved symbol blocks today. Everything arrived in good shape and I really like what you guys did. The brackets are beautiful and the "wheat" carving block detail was amazing. I'm very happy with your company's work and attention to detail. Thanks again. The parcel has just arrived. Just brilliant rosettes, just what I wanted – I am very happy. Also thankyou for packing so securely. Very much appreciate the excellent service Joe. The capitals look great. We look forward to applying them to the altar for the catholic church. The corbels are great and we’ve had a lot of folks admiring your work. I wanted to let you know our carving arrived today (7/21/15). The product made it to our door in excellent condition thanks to your very substantial packaging. 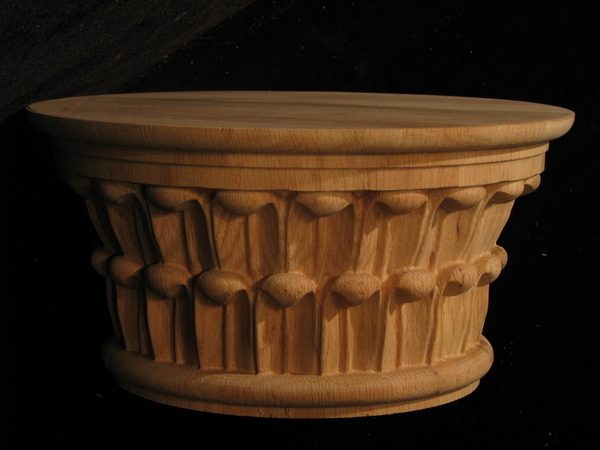 We are extremely pleased with the quality of the carving. 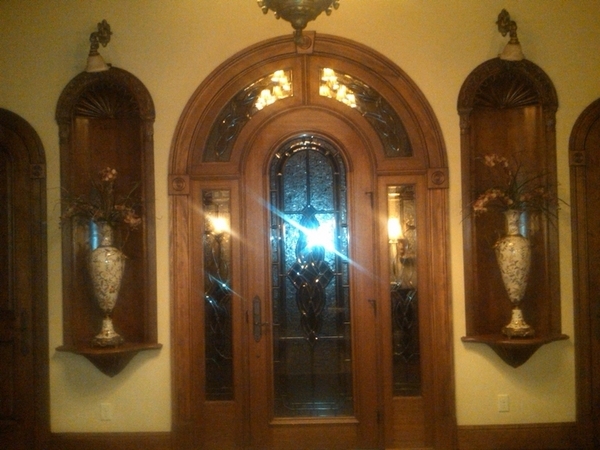 The carving will add a most attractive touch to our new front entry door and blend well with the other trim mouldings added during our remodeling project. Thank you for the excellent service and product! I purchased these columns from you a little over 2 years ago. I remember saying than that I would send you a picture when the project was complete. I had no idea it would take me 2 years to get this done. Well here is the picture. The columns look amazing!!! Thanks to everyone at Heartwood for your help!! See attached picture of the foyer niche. They look great. Your people did a really good job. Please thank everyone for their help. Joe, the volutes arrived today - they are GORGEOUS! Your company does such great work. Thanks for everything. I'll send you pictures when the project is complete. I just wanted to let you know that the rosettes (Custom - RS-GOTH-1.5" ) arrived today and they are beautiful. I am looking forward to working them into my project. Thanks again. Everything looks great! I sent pictures to my Irish client and he is thrilled ! I will send some pictures of your moldings in place when we finish the project. I received the two red oak lion heads today and wanted to pass on to you how pleased I am at their quality. Please pass on to the craftsman who made them my thanks for a job well done. They will be a beautiful and interesting addition to my new cabinet.